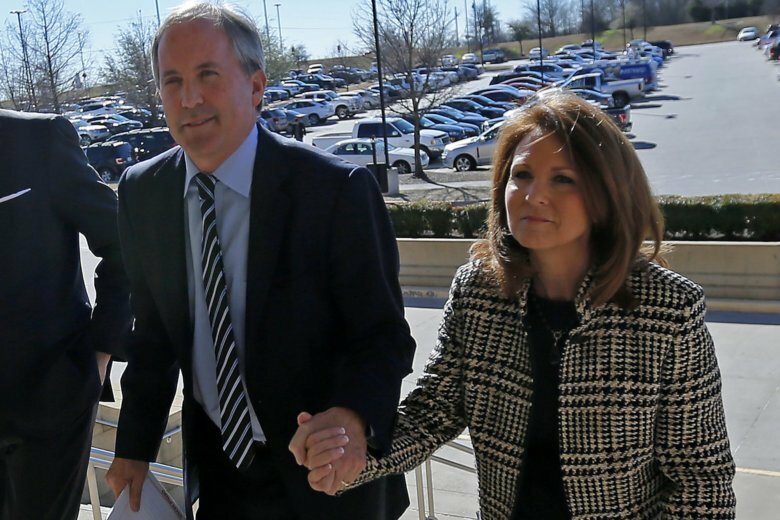 AUSTIN, Texas (AP) — The wife of Texas Attorney General Ken Paxton said Tuesday that a bill she filed that would change state securities law “has literally nothing to do” with her husband facing criminal charges of defrauding investors, even as experts said the proposal appears to strike near the heart of his indictment. Republican state Sen. Angela Paxton was elected in November, when Ken Paxton was re-elected as Texas’ top law enforcement officer. He won a second term despite his criminal indictment from 2015, when he was charged with two felony counts of securities fraud and failing to register as an investment adviser representative. Ken Paxton has pleaded not guilty to accusations that he duped investors in a high-tech startup called Servergy Inc. several years before becoming attorney general. Prosecutors say Paxton failed to disclose he was being paid by Servergy while trying to lure investors to the company, but his attorneys contend he was under no obligation to do so. If convicted, Paxton faces 5 to 99 years in prison. But whether Ken Paxton will ever face trial has become uncertain. The case has languished for more than a year over delays, a venue change and Paxton’s political allies challenging the taxpayer costs of the prosecution. Special prosecutors have threatened to quit if they’re not paid, and they recently lost a key ruling over what they say are more than $200,000 in unpaid bills. Angela Paxton said she didn’t consult with her husband on drafting the bill — and defended proposing legislation would expand the powers of his office. Under the framework of the bill, the Texas attorney general’s office would administer a “regulatory sandbox” that would be the one to decide exemptions to licensing and registration, an authority that experts say the office does not currently have. Neal Newman, a law professor at Texas A&M University who specializes in securities law, said the bill appears to be close to the heart of why Ken Paxton was indicted. Buck Wood, an Austin attorney and longtime ethics expert, said Angela Paxton shouldn’t vote on such a bill as a senator, let alone be the one proposing it. Angela Paxton says her legislation is about consumer protection and was driven by constituents in her suburban Dallas district. One of them she named was Bill Sproull, president of the Richardson Chamber of Commerce, who said Tuesday that he had not read the bill but began discussing the idea with Angela Paxton when she was a candidate last year. This version of the story corrects the spelling of Sproull in the next to last paragraph.